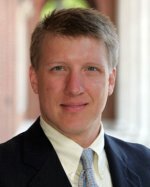 Matthew Springer is a research assistant professor of public policy and education at Vanderbilt University, Peabody College. He also serves as the director of the National Center on Performance Incentives. Dr. Springer's research interests involve educational policy issues, with a particular focus on the impact of policy on resource allocation decisions and student outcomes. His current research includes studies of (1) the impact of performance-based incentives on student achievement and teacher turnover, mobility, and quality; (2) strategic resource-allocation decision making of schools in response to No Child Left Behind; and (3) the impact of school finance litigation on resource distribution. His research is funded by the U.S. Department of Education's Institute of Education Sciences, Smith Richardson Foundation, and Texas Education Association.